At the start of 2008 IAC announced the acquisition of the former Chroma Shawley product range, which is incorporated into the IAC electronic product range. The Shawley product range has established itself as one of the cornerstone products within the CCTV industry over the past 30 years. It is this impressive reputation and its desire to continue to deliver a quality product to its customers that attracted IAC to add to its already enviable reputation for delivering a service that not only meets, but exceeds the customers expectations. 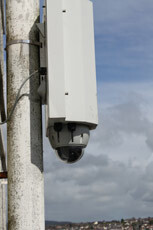 In addition to a range of security products IAC Security also provide systems integration services for industry. The company offer the usual personal security monitoring systems, as well as process monitoring where personal safety could be improved.